What is a CRM (Customer Relatiship Management) solution? CRM software is a business critical solution required for successful operation for companies of all sizes. 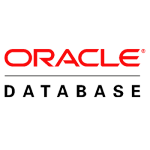 It used to register all customer-related data – services / products the customer bought, contact history, complaints. Innovative companies require solutions which not only capture and store customer-centric data, but also provide users with additional insights regarding the customer. Effective CRM solution, as well as CRM strategy, is the key to acquiring new customers and retaining the ones company already has. Why choose Pretius to build your CRM solution? We have built several custom CRM solutions helping companies to execute at their best. We were also involved in large-scale out-of-the-box CRM implementation projects (integrating our solutions with the deployed CRM). From those experiences we know that every company does its business differently and thus needs custom software. Our approach to building CRM solutions involves creating an integrated user’s panel (exploiting existing company software and implementation of additional. required features), tops it with extraordinaire User Interface, created with user experience (UX) design in mind. Every time we architect the solution in tight cooperation with the end users and this approach always gives stunning results as far the usability is concerned. advanced personalisation – CRM is a system that is used by many different groups of users with various tasks and responsibilities. Allowing those groups to personnalise the experience greatly improves the results. context aware and full-text search – most companies have their customer data scattered across systems. Aggregating this data into a search solution integrated with CRM allows precise and fast data delivery and discovery, which increases productivity. Pretius CRM solutions, besides focusing on great user-experience and advanced architecture, are always built with TCO (Total Cost of Ownerhip) in mind. We understand that most companies already handle their CRM tasks (be it with spreadsheets or large-scale monolithic solutions). Our solutions and project approach do not force the company to abandon previous work if it delivers added-value – we encourage to reuse it in new CRM solution and integrate it with our platform to deliver the best customer experience. 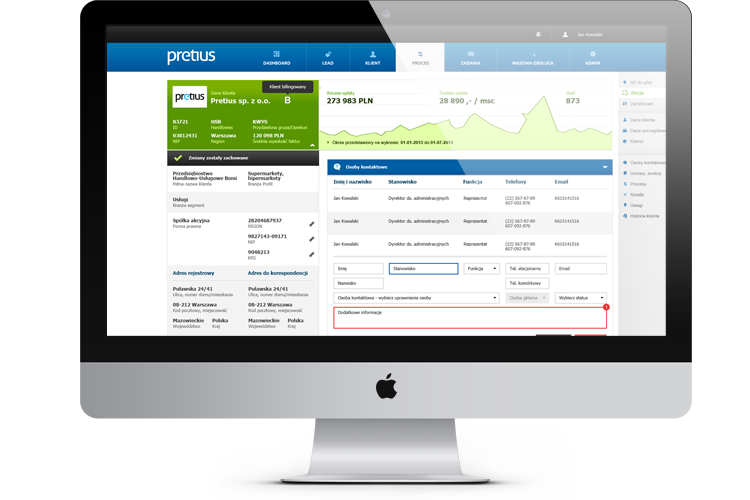 Implementing CRM solutions with Pretius is a good alternative to deployment of large-scale, monolithic Microsoft Dynamics CRM, SugarCRM or SAP CRM solutions.